Learn more about Ron Butler's unique Obama portrayal which combines his 25 years as a professional television and theater actor, singer, dancer, writer, and multi-talented performer. With the fiscal cliff in the news for weeks, and Ron learning to play the ukulele, he just couldn't resist the urge to film this original parody. Recorded in 2008, Modern US President was Ron's first parody video. It was featured on FOX News' O'Reilly Factor and has earned over 2.5 million YouTube Views. Obama impersonator Ron Butler is an accomplished television and theater actor. During his 25 years on stage and screen, Ron Butler has accumulated a wealth of skills and experiences upon which he draws heavily in crafting and performing his portrayal of President Obama. Among the Barack Obama impersonators who currently perform live political comedy, Ron Butler is the only professionally trained career actor. Most other Obama impersonators are natural lookalikes-turned impersonators who have little to no formal instruction or practical skills in character acting, comedy, improv, or musical performance. Ron Butler has been personally trained in character acting, comedy, improv, song, and dance by some of the world’s most accomplished actors, directors, and coaches, including Academy Award nominees William H. Macy and Felicity Huffman, filmmaker David Mamet, American Repertory Theater’s Scott Zigler, and American Theater Company’s Robert Bella. He has also honed his craft in career acting over the course of more than two decades as a performing member of the Atlantic Theater Company. CLICK HERE to read Obama impersonator Ron Butler's biography. CLICK HERE for a complete list of Ron Butler’s television, film, theater, and new media credits. Ron Butler bears a striking resemblance to President Obama. With a touch of stage makeup and a custom wig designed by one of Hollywood’s most revered wig designers, Ron Butler’s resemblance to President Obama becomes pretty uncanny. Armed with years of professional Broadway-caliber voice training, Ron Butler has developed a voice impression which captures many of the emphatic and iconographic aspects of Barack Obama's speech patterns and oratory skills, allowing him to bring the President’s voice to life on any stage. 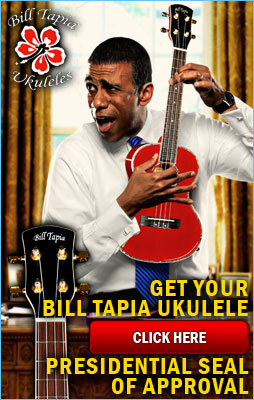 As an Obama impersonator, Ron Butler performs a tasteful and astute brand of political and pop cultural comedy. Butler's political comedy draws in part upon his own political and public policy insights stemming from his days as an economic consultant for a law firm in Washington, D.C., and in part upon his active collaboration with and participation in Politicos Comedy Brigade, the preeminent political comedy team in the United States. Ron Butler incorporates song and dance into his portrayal of the President, which introduces a fun, light-hearted element to his impersonation and truly brings America’s first pop culture President to life. Ron Butler is the son of “The Godfather of Bahamian Music” Ronnie Butler, and Butler's mother was a career dancer, so he has performed song and dance on major stages throughout the Americas and Europe since he was a young boy. Together these performance elements combine to create “The Ron Butler Obama Experience,” an exciting live stage show featuring Ron Butler's portrayal of President Barack Obama. CLICK HERE to read more about Obama impersonator Ron Butler’s live stage show, “The Ron Butler Obama Experience”. CLICK HERE to read more about all of the services offered by Obama impersonator Ron Butler. CLICK HERE to read testimonials of Obama impersonator Ron Butler provided by satisfied clients of all kinds from around the world. Obama impersonator Ron Butler's portrayal of the President is truly world-class, and is perfect for use in live performances, on screen, and beyond. CLICK HERE for information on booking Obama impersonator Ron Butler for your project or event. All rights reserved. Copyright © 2013 by William Gold Entertainment, LLC. Site designed by Imagination Firm. All materials on this site are copyrighted and may not be used in any way other than personal use unless authorized or stated otherwise by William Gold Entertainment, LLC, Politicos Comedy Brigade, or Out Island Entertainment, Inc.